A STEADY stream of voters have beaten the election day rush and cast their State Election votes in the pre-poll, which remains open until tomorrow at 6pm. The candidates and party faithful have spent much of the week handing out how to vote cards outside Coffs Harbour's Norm Jordan Pavilion at the Coffs Harbour Showground. 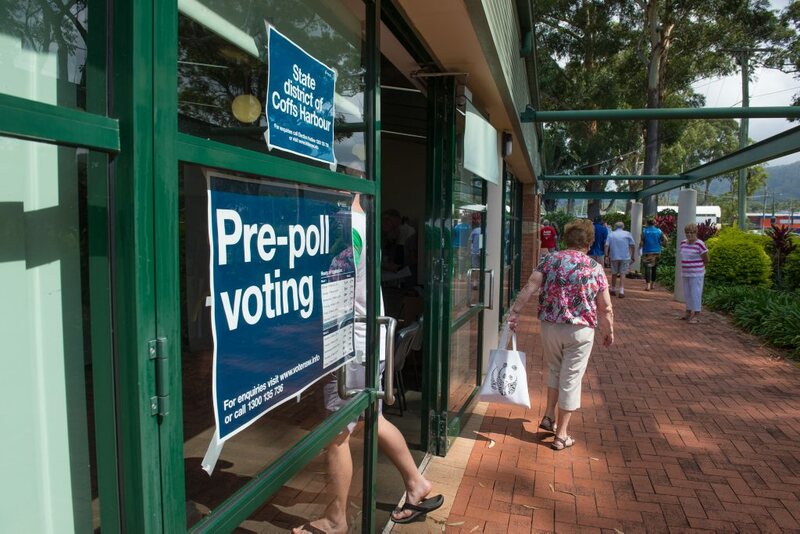 Returning officer for the Coffs Harbour electoral office, Cliff Mitchell said an approximate tally of 4,500 votes had been cast in the pre-poll up until Thursday at noon. 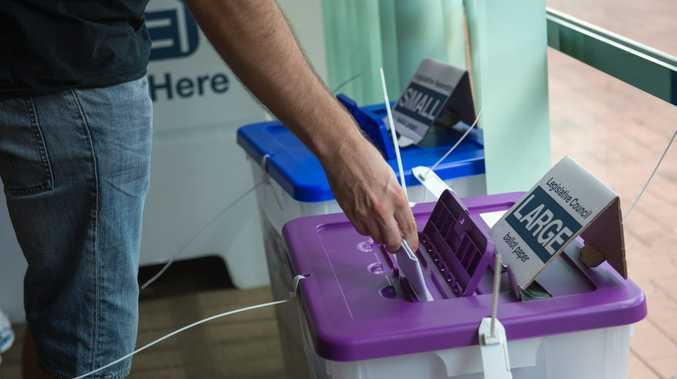 "Generally speaking the pre-polls on Thursday and Friday before an election day Saturday are busy and based on previous State Election tallies I would expect between 1,200 and 1,500 votes will be cast today," Mr Mitchell said. "The pre-polling at Norm Jordan Pavilion closes on Friday at 6pm and from then it will serve as the returning office where the votes begin to be tallied on Saturday evening." In the 2011 State Election 5,038 people cast pre-poll votes in the Coffs Harbour electorate and there were 2,593 postal votes counted. Four of the candidates for the seat of Coffs Harbour have allowed the Coffs Coast Advocate to film them delivering a short video message outlining why those who haven't voted yet should put a '1' next to their name. June Smith (Country Labor) - Pollie Ticker: Country Labor candidate for the seat of Coffs Harbour, June Smith, outlines the policies both she and her party are standing on ahead of the state election on Saturday, March 28. Craig Christie (The Greens) - Pollie Ticker: The Greens candidate Craig Christie outlines why he believes you should vote for him for the seat of Coffs Harbour in the state election being held on Saturday, March 28. Ian Sutherland (CDP) - Pollie Ticker: Christian Democratic Party (Fred Nile Group) candidate Ian Sutherland outlines why he believes you should vote for him for the seat of Coffs Harbour in Saturday's NSW election. Andrew Fraser (The Nationals) - Pollie Ticker: Member for Coffs Harbour Andrew Fraser (The Nationals) explains why he believes you should re-elect him in the upcoming NSW election on Saturday, March 28.